This is What's Trending Today. The American Thanksgiving holiday is on Thursday. Many people will gather with family members for a big meal. It is a time to celebrate family, friends and everything there is to be thankful for. 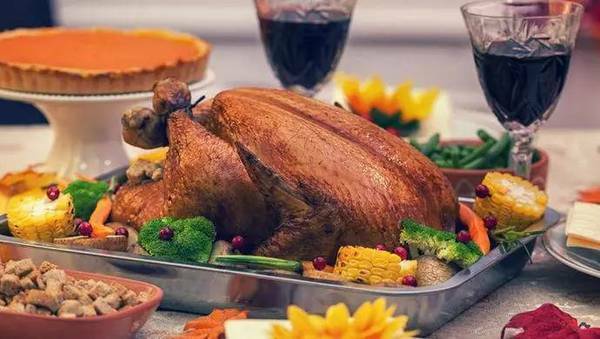 The traditional Thanksgiving meal often involves cooking a large bird called a turkey, and many other foods such as stuffing, mashed potatoes and pumpkin pie. But some people do not look forward to spending a lot of time with their family. It can be stressful. Family members can start arguments with each other. Some people at the meal may have conflicting political beliefs. Conflict can even find its way into the kitchen, where all the cooking takes place. There is a saying called "too many cooks in the kitchen," or "too many cooks spoil the broth." This means that, sometimes, if many people are involved in a project, it does not turn out as well as it could have if only one person were in charge. Rick Irwin had an idea. "Say that you're letting the dog out and use it as an excuse to disappear for several hours." Tracy Brooks had a suggestion for limiting Thanksgiving dinner responsibilities. She wrote: "Be the last to arrive and the first to leave." Since there is so much food at the Thanksgiving meal, Christine Turner suggested forgetting about your diet and wearing loose clothing. But, one fitness enthusiast said people do not have to give up on their diets during the big meal. They can prepare foods that have fewer calories. For example, they could bake some foods instead of frying them in oil. They could also mash cauliflower instead of potatoes. But other people are looking forward to the holiday. Sara Marie Brenner wondered why people need to "survive" Thanksgiving, at all. She wrote: "I enjoy the holiday." She gave up her job to join her husband's campaign. I was looking forward to a jolly party. They ate turkey and pumpkin pie. My political belief, my ideals, compel me to veto this bill. 1.Conflict can even find its way into the kitchen, where all the cooking takes place. The New Moon takes place in your opposite sign of Libra on the 15th. The action takes place on a steeply raked stage. 2.This means that, sometimes, if many people are involved in a project, it does not turn out as well as it could have if only one person were in charge. He's in charge of the hospital.